Our Music Theory Course is designed based on the Associated Board of Royal School of Music (ABRSM) Graded Examination Syllabus. 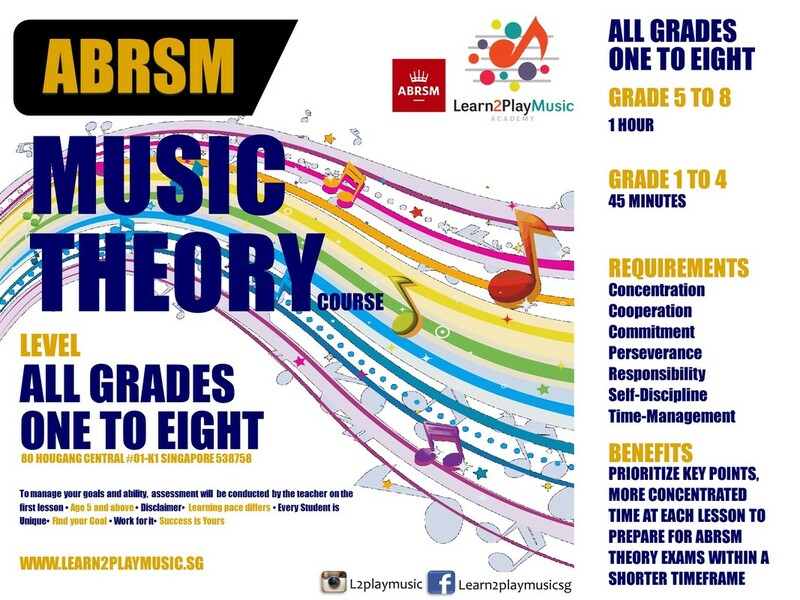 Learn 2 Play Music Academy also offers Group ​ABRSM Music Theory course for students who are interested to take up theory lessons with your friend(s). This course is suitable for age 5 and above. To manage your goals and ability, assessment will be conducted by the teacher on the first lesson. Disclaimer: Every student is unique and learning pace differs. To achieve your goals, some helpful tips would include concentration, cooperation, commitment, perseverance, responsibility, self-discipline and time-management​.